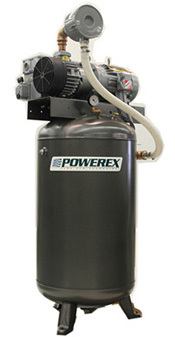 The Powerex Industrial Rotary Vane vacuum pumps feature many benefits, including low maintenance cost, easy installation, reliability and no water disposal. They are designed to provide vacuum for process, molding, packaging, printing and other similar facilities. Vacuum tankmount systems can be used for a variety of applications to rid unwanted fluids or gases from the working area.